Ever had a friend ask if you noticed something different about them? Ever embarrassingly draw a blank? That tends to happen when cars go through a mid-cycle refresh, as the manufacturers like to call it; a few tweaks here and there to update it, sometimes only seen by the discerning eye. Lincoln didn’t get the memo though, and ended up modifying so many elements of the 2010 MKZ – their entry-level luxury sedan – that you’d have to be legally blind not to notice. Less has been done with what’s under the hood than the overall design of the car, but almost every component that involves driver interaction has been put through the ringer. The outdated look of the exterior has been wiped clean and replaced with a more modern design, complete with the now signature Joker face grille. The transmission includes a standard manual mode now, and there are plenty of technology add-ons from safety systems to a melodious surround-sound audio system. However, the wow factor is all about the interior. The ‘after’ shot features materials of better quality, surprisingly comfortable and roomy seats, a whisper-quiet cabin and a dramatically altered instrument panel. We still see too many Ford vehicle components in the interior than we’d expect in a more upscale car, but the transformation of the MKZ is undeniably recognizable. A sport package adds much-needed drivability to the MKZ, though the base model will be fine for those wanting their ride to glide over the road. Wind noise reduction is outstanding and the V-6 has been tuned to sound throatier when punched. According to Lincoln, they’ve also shaved 0.6 seconds off its 0-60 mph time. It feels like it too. Buttons on the instrument panel – while now miles better – don’t reek of luxury like they should. The climate controls are also tiny – time to pull out the reading glasses. Steering, without the sport package, feels rubbery and snaps back to center position all too easily. A major requirement of the entry-level luxury segment is to feel at ease behind the wheel and for the most part, Lincoln delivers on that sense of drivability. The 3.5-liter V-6 emits a nice engine note when the throttle is really pushed, and quiets down when a relaxed driving style is sought. Delivering power to the front wheels provides less control out of turns than we’d like and if that bothers you, we’d recommend all-wheel drive. The carryover six-speed transmission isn’t the most responsive we’ve felt and shifts that should be silky smooth disappoint in the lower gears. Imperfections are hidden by a high overall comfort level, aided by a newly refined suspension that better absorbs bumps. Slotting the shifter over to manual mode gives you a downhill mode, keeping the car in fourth or below to reduce braking on hills – a handy feature that replaces the previous, and largely unused, ‘low’ setting. Like we said previously, steering is lacking any real feel to it. The overly pliable wheel becomes particularly finicky on mountain roads, so don’t expect to do much in the way of dynamic driving. Unless you consider torque steer adventurous, that is. In the refresh, the MKZ carries over its 3.5-liter V-6 engine. Its 249 lb-ft of torque and 263 horsepower do fall behind the competition’s numbers, but manage to capably pull the car along regardless. The sedan is offered with front- or all-wheel drive and the six-speed transmission now incorporates SelectShift technology with manual shifting. For the more involved driver, the sport package is a must. Tighter spring rates, larger 18-inch wheels and a rear stabilizer bar make for a more engaging ride. The car remains flatter in turns and minimizes body roll while also seeing an improvement in steering response. A new THX surround sound system is so good, even listening to compressed songs off your iPod will properly send chills down your spine. The MKZ includes the technological wonder that is Microsoft SYNC, bringing you an all-in-one infotainment system whose functionality – like Bluetooth connectivity and available Sirius Travel Link – remains untouched by any other manufacturer. A new blind spot warning system activates a small light on the side mirrors when another vehicle approaches or remains in your blind spot. Another safety system – the available reverse camera – helps to avoid small objects concealed by the rear end. The technology package also comes with adaptive HID headlamps that rotate according to speed and steering input along with rain-sensing windshield wipers. The six-speed transmission helps retain a class average 18 mpg city and 27 highway with the front-wheel drive setup. Mpg drops slightly with the all-wheel drive trim – ending up at 17 city and 24 highway. Gone are the oddly oversized knobs and vents; the interior now takes a page from Volvo’s pared-down styling cues. However, paring down shouldn’t mean resorting to small buttons that some will have trouble seeing. The beige and black two-tone color-blocking, something we’ve seen on other high-end vehicles, is a highlight of the interior styling. Seats are more comfortable across the board and leather trim is standard. Lincoln went out on a limb with their brand’s menacing grille and its avant-garde look can be polarizing to some. Just the right amount of chrome accents have been added to the exterior, stopping short of the gaudy look some others achieve. 17-inch wheels are standard, though 18-inch aluminums are part of the sport package. The MKZ’s direct competitor is the $34,320 Lexus ES350, so their slightly high $34,115 starting price makes sense. If AWD is added, the tag bumps up to $36,005. Also hitting that mark is the $34,955 Acura TL, and undercutting the Lincoln are the $32,075 Chrysler 300 and $32,250 Hyundai Genesis. Sportier sedans like the BMW 335i, Cadillac CTS, Infiniti G37 and Mercedes-Benz C350 are also worth a look. The luxury segment is packed to the gills, so it’s no wonder Lincoln felt the need to make major changes to its entry-level model. The drive still lacks precision, and pricing may be too high for some of the more frugal buyers. We also think that there’s further work to be done with the interior elements. 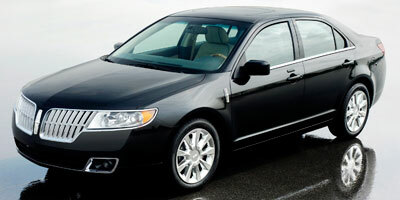 However, the MKZ has made a considerable leap forward. New technology options and a distinctly higher level of comfort will catch the eye of people previously not looking in Lincoln’s direction, and the sport package brings a more dynamic element to the sedan. This is a before and after you won’t want to miss.